Occupational health inspectorates, which were set up in several countries in Europe during the first half of the 20th century, have developed alongside occupational health services and labour inspectorates and now constitute a well-defined body whose role in protecting workers’ health is rapidly expanding. In this the duties of occupational health inspectors and their role in the various countries of the European Community are outlined. 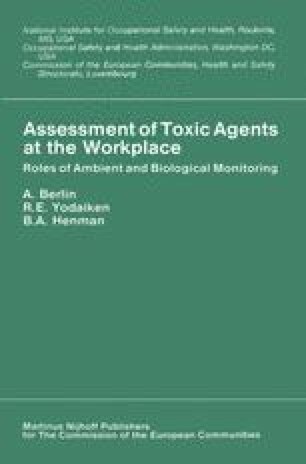 Details are given of the part they play in assessing toxic agents through ambient monitoring at workplaces and medical checks of workers exposed.